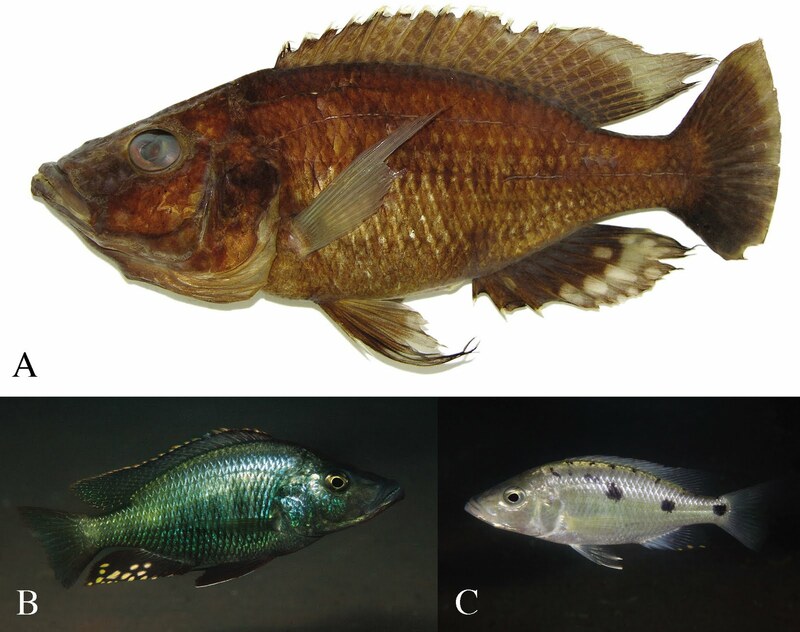 Species of Stigmatochromis are haplochromine cichlids endemic to Lake Mala?i, and the genus currently includes four species, S. woodi (type species), S. modestus, S. pholidophorus, and S. pleurospilus. The latter two are known from only their holotypes. 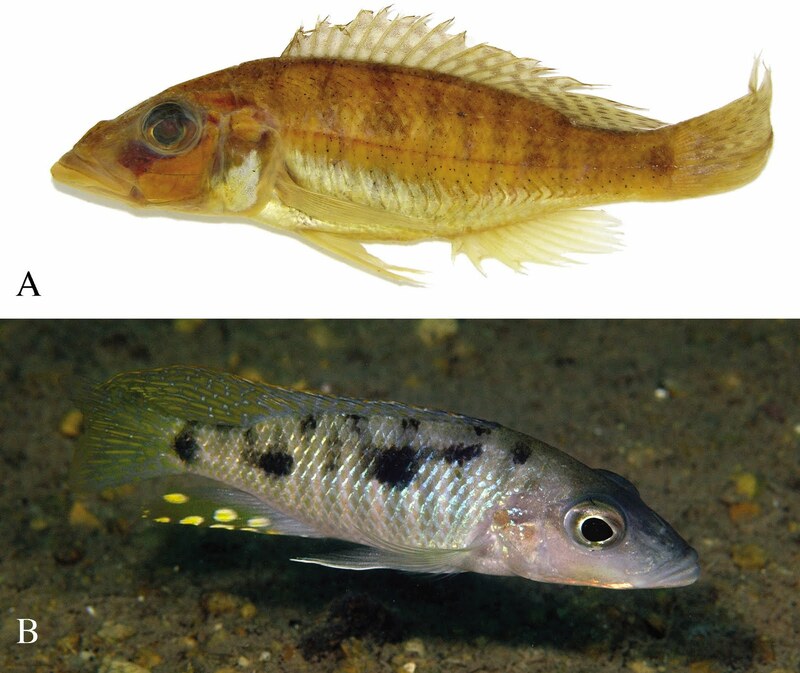 Herein, we describe two additional species, Stigmatochromis macrorhynchos andStigmatochromis melanchros from southern Lake Mala?i. Fig. 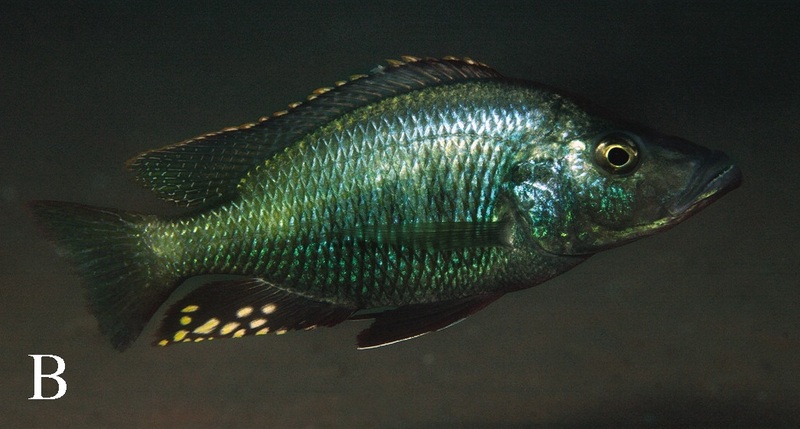 1 A, Stigmatochromis pholidophorus; adult individual (approximately 13 cm TL) at Chiofu Bay, Mala?i in Lake Mala?i. B, territorial male Stigmatochromis woodi (approximately 22 cm TL) guarding his sand bower at Luwala Reef, Mala?i, Lake Mala?i. Fig. 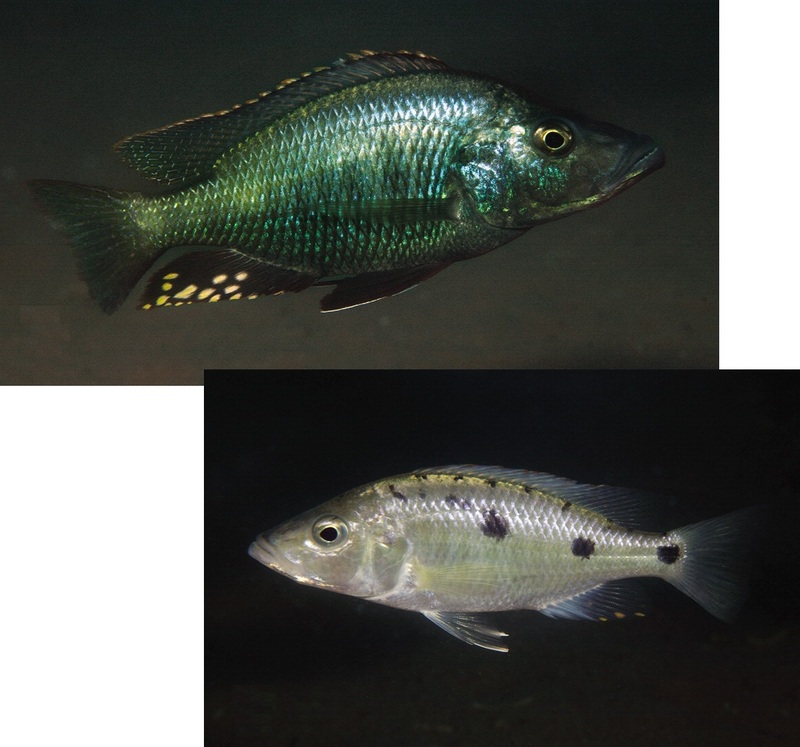 2 Stigmatochromis macrorhynchos. A, PSU4774, holotype, 128.2 mm SL, off Domwe Island, Mala?i, Lake Mala?i. B, non-territorial male (approximately 12 cm TL) at Mumbo Island, Mala?i, Lake Mala?i. Etymology: Specific epithet a noun in apposition from Greek makros meaning “long” and rhynchos meaning “snout,” referring to the elongated snout of this species. Fig. 3 Stigmatochromis melanchros. A, PSU4944, holotype, 160.7 mm SL, Mazinzi Reef, Mala?i, Lake Mala?i. B, male (approximately 19 cm TL). C, female (approximately 17 cm TL) at Mazinzi Reef, Mala?i, Lake Mala?i. Etymology: Specific epithet is a noun in apposition derived from the Greek melas, meaning “black” and from khros meaning “skin” or “surface of body” in reference to the overall black color of the breeding males. 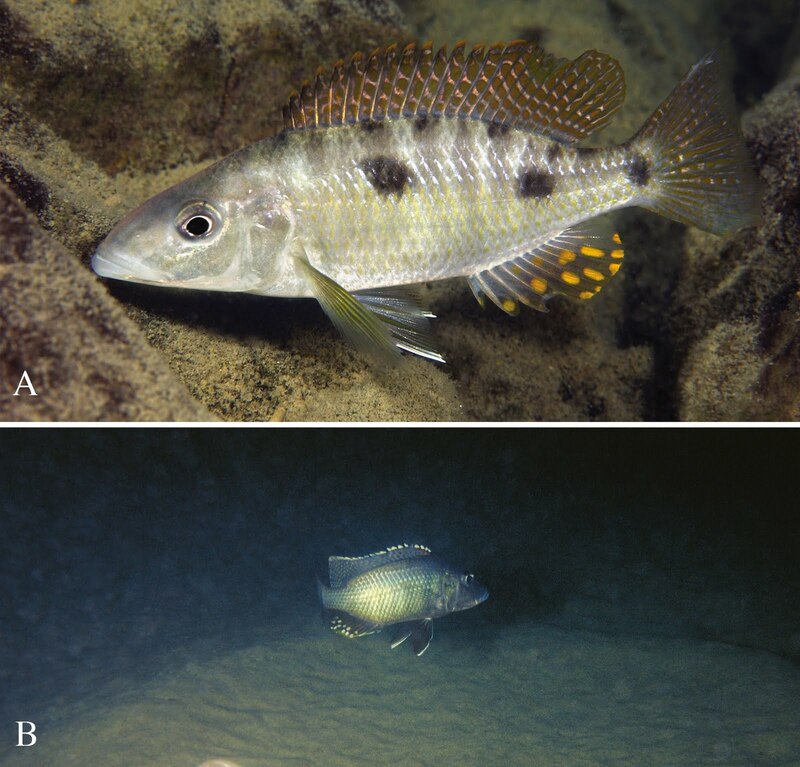 Remarks: Stigmatochromis melanchros is a piscivore that breeds in rocky reefs where territorial males defend the vertical face of a large boulder near the sandy bottom. This differs from the sympatric S. woodi; males of which build large bowers on the open sand away from any rocks (Fig. 1B).